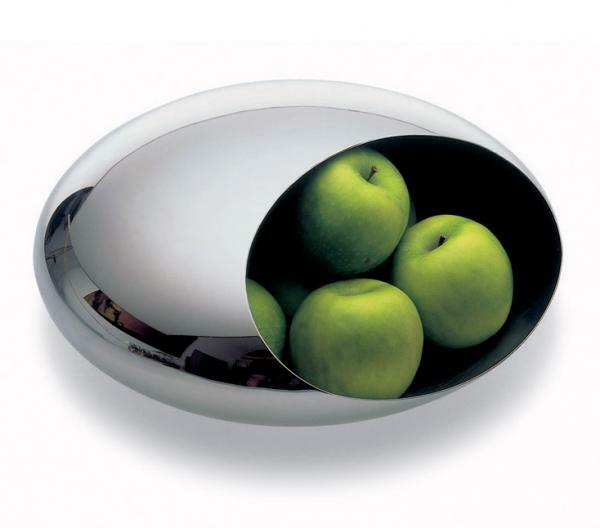 A elegant and organic shaped - mirror polished stainless steel fruit bowl. The Cocoon Fruit Bowl, designed by Eakkapob for Philippi out of Germany, has a unique shape and an oval opening that provides a nice view on the fresh fruits you put in. Like a stone on the banks of a river smoothed and polished over centuries, the Cocoon mimicks a timeless and beautiful shape. The COCOON fruit bowl was awarded the #FORM Design Award in 2005. See the matching Cocoon candy bowl too - a smaller cocoon!